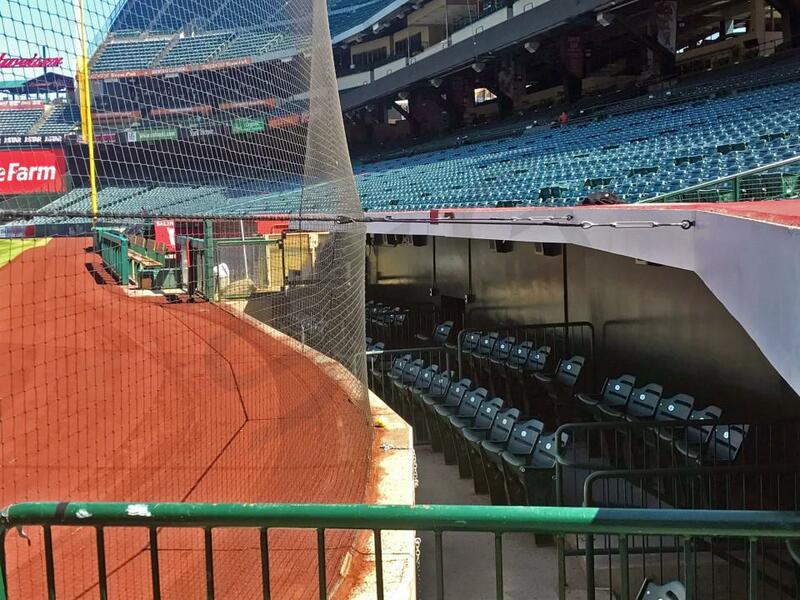 How much do Angels suites cost? 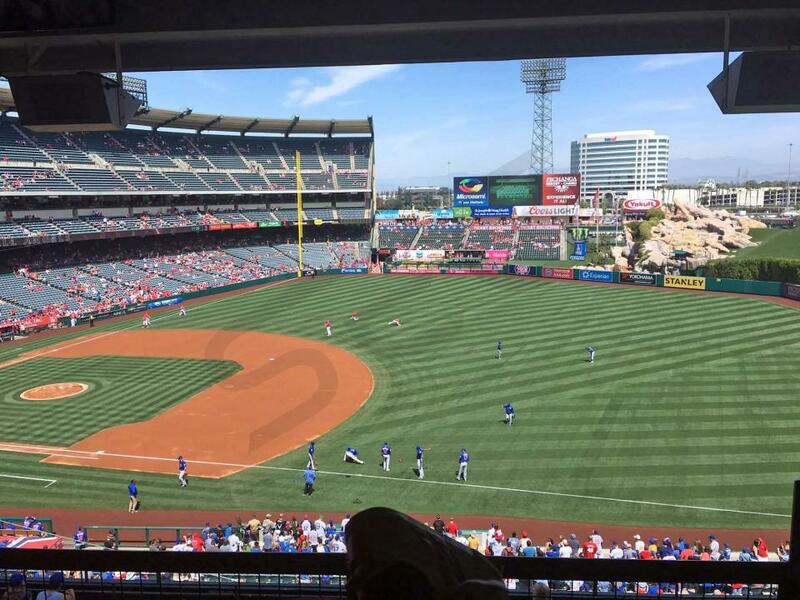 Los Angeles Angels suite rentals cost between $1,500-$5,500 per game. Pricing will vary based on opponent, day of the week, suite size and suite location. Angels Dugout Suites are generally the most expensive suite option, followed by Gold Suites and Platinum Suites. Silver Suites and Bronze Suites are typically the most affordable suite locations. Suite rentals for motorsport events such as Monster Jam and Supercross generally cost around $2,000 and $5,000 respectively. Angels Platinum suites include seating behind home plate, premium parking, elevator access to suite, suite attendant, in-suite catering options, and access to stadium clubs. This Angels Silver suite is located on the 3rd base line. It includes 12 tickets and 3 VIP parking passes. Up to 6 additional tickets can be purchased for the suite. The Angels suite will feature HDTVs, interior/exterior seating, in-suite catering options and a dedicated suite attendant. This Dugout suite at Angel Stadium is located at field level. Guests will be just feet away from your favorite players. A dugout suite at includes 12 tickets and 3 VIP parking passes. Guests will receive exclusive access to the Diamond Club. There is a private restroom in Dugout Suites. Suites at Angel Stadium vary in size and configuration. Most private suites at Angel Stadium will accommodate 12-18 guests. Dugout Suites, located on field level, are slightly smaller in size; these suites accommodate 12 guests. Larger suites, with space for groups of 30 or more, are located on the first and third baselines in the outfield. Los Angeles Angels suite rentals will cost between $1,500-$5,500 per game depending on opponent, day of the week, and suite location/size. Angels Dugout Suites are in high demand and these suites are typically the most expensive premium option on a per game basis. Dugout Suites are located on field level right behind home plate. Private suites on the main suite level will range in price depending on location; Gold Suites and Platinum Suites are more desirable due to their proximity to home plate, while Silver Suites and Platinum Suites are generally the most affordable private group options. Suite prices will be more expensive for Opening Day and games versus the Dodgers, Yankees, and Red Sox. Angel Stadium suite prices for concerts and other events like Monster Jam and Supercross will range between $2,000-$6,000. 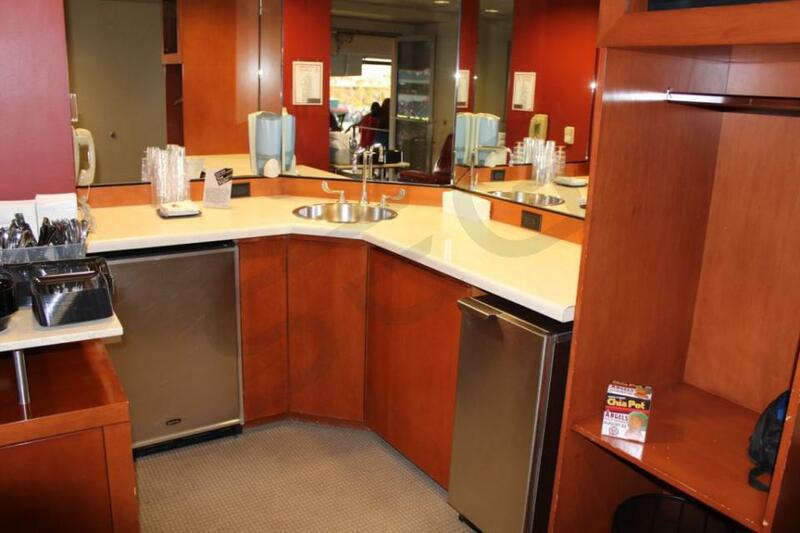 In-suite catering is available in all suites at Angel Stadium. The menu includes a wide range of food and beverage options provided by Legends Hospitality. 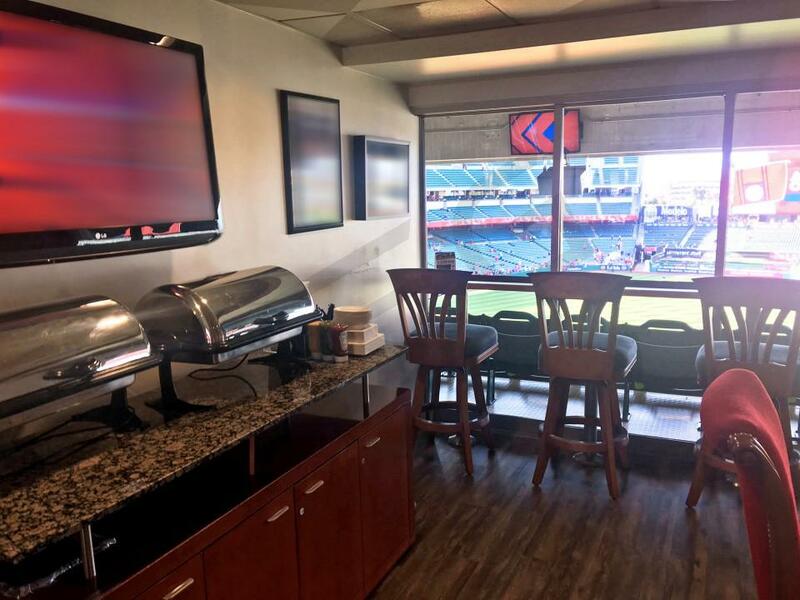 Most suites at Angel Stadium do not include catering in the base price of the suite, so be sure to allocate additional funds if you would like to have your suite catered. Most SEG clients will spend an average of $75 per person on food and beverage for their group. Suite Experience Group will provide an Angel Stadium catering menu and can advise on the appropriate budget and catering order for your group. There is no dress code for suite level at Angel Stadium. The luxury suites at Angel Stadium are climate controlled for your convenience. Any style of bag that measures 16" by 16" by 8" or smaller will be permitted inside Angel Stadium. Bags exceeding these dimensions will not be allowed inside the facility. Electronic devices such as laptop computers and tablets are permitted. Read the full policy here. There are three main entrances into the Angel Stadium parking lots; Douglass Road, State College Boulevard, and Orangewood Avenue. Parking lots opens two and a half hours prior to the start of the game/event. VIP Parking for suite ticketholders is in Preferred Lot accessible via the Express Entry Lane on Orangewood Avenue. The VIP Entrance for Angel Stadium is located at Gate #3. Suites will be open 90 minutes prior to first pitch. For the first time in 19 seasons, the 2019 Los Angeles Angels will be led by a new manager. Brad Ausmus takes over for Mike Scioscia. Ausmus will get to put together one of the stronger lineups in the AL West featuring arguably the best player in baseball, Mike Trout. One of the biggest stories of the season could be whether the Angels can sign Trout to a contract extension. Trout becomes a free agent following the 2020 season and talks are underway to keep him in Anaheim. It’s year two of the Shohei Ohtani show. Ohtani was impressive last season both on the mound and at the plate. In 2019, Ohtani won’t be pitching due to an injury but he’ll be a big bat in the middle of the Angels’ lineup. Rounding out the lineup with Justin Upton, Albert Pujols, Andrelton Simmons, Zack Cozart, Kole Calhoun and Jonathan Lucroy. This lineup is filled power from the leadoff spot down. The Angels’ pitching staff is going to be led by Tyler Skaggs and Andrew Heaney. Jaime Barria had an excellent rookie season last year. The Angels signed Matt Harvey in the off season who not too long ago was one of the better pitchers in baseball. To strengthen the bullpen, the Angels also signed closer Cody Allen who was most recently with the Indians. 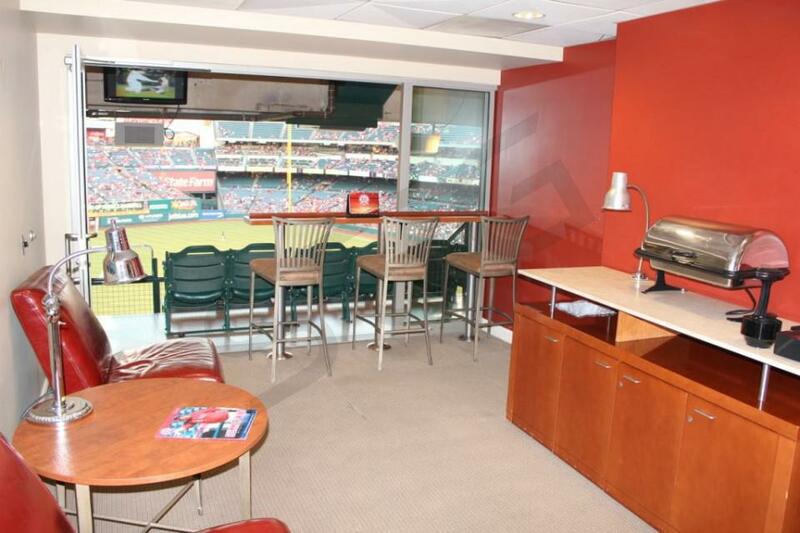 Angels suites are going to vary in price depending on the game you want to go to. 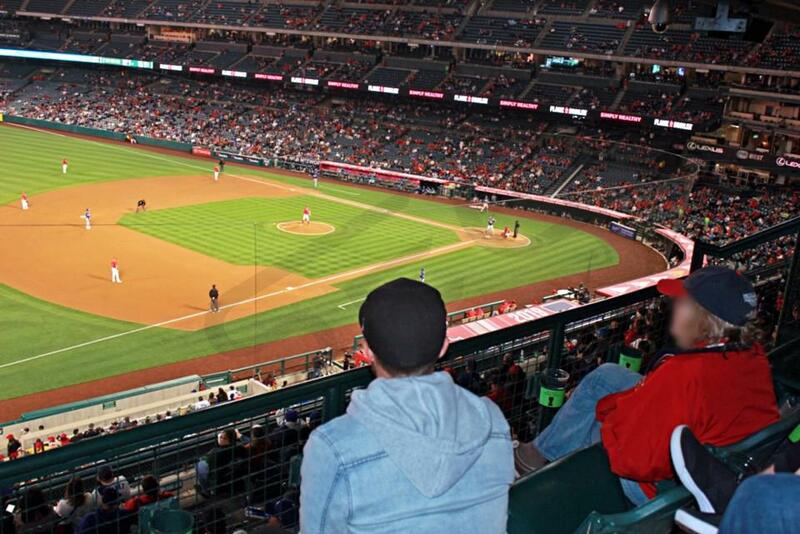 On average, a suite at Angel Stadium will go for $1,900 - $4,000. Angels suites can accommodate 12 – 18 guests. Food and beverage can be ordered in advance so that your suite is fully catered for your event. At Angel Stadium, there are a few different types of suites: Dugout, Platinum, Gold, Silver and Bronze. Dugout suites will stand out the most as they are located at field level, directly behind home plate. The rest of the suites are on the Club Level at Angel Stadium from foul pole to foul pole. Following one of the busiest off-seasons in franchise history, the Los Angeles Angels enter the 2018 season with World Series aspirations. Two-way phenom Shohei Ohtani will join one of the best players in baseball, Mike Trout, to form a dominant duo in Anaheim. Ohtani and Trout will look to guide the Angels to the playoffs for the first time since 2014. Ohtani comes over from Japan, where he was both a dominant hitter and electric starting pitcher. With a skill set baseball hasn’t seen since Babe Ruth, Ohtani will look to leave his mark on Major League Baseball this year. When he isn’t pitching, manager Mike Scioscia has said Ohtani will likely play in the outfield, at first base, and split time as the designated hitter with future Hall of Famer Albert Pujols. Pujols himself needs just 17 more home runs to pass Ken Griffey Jr. for 6th on the all-time list. The Angels also signed slugger Justin Upton to a 5 year, $106 million extension to bolster the outfield around Mike Trout and Kole Calhoun. All-Star infielders Ian Kinsler and Zack Cozart were acquired in the off-season to join Gold-Glove shortstop Andrelton Simmons and first baseman C.J. Cron on the infield. General Manager Billy Eppler has finally surrounded Mike Trout with a championship roster, bringing optimism this could be a special year for the Angels. Shohei Ohtani will join a starting pitching rotation that expects a strong comeback from Garrett Richards. Richards was lights out in 2014 and 2015 before being limited to just 12 games total the past two seasons due to injury. Matt Shoemaker and youngsters Parker Bridwell and Tyler Skaggs round out a starting rotation that will be key to the Angels’ success this year. At Angel Stadium, you can enjoy an Angels game with the many different suite options offered. These options include the platinum luxury suites, gold luxury suites, silver luxury suites, and bronze luxury suites. Platinum luxury suites at Angel Stadium put you at field level right near home plate, making these luxury boxes an extremely attractive option. With any suite, you will receive VIP parking passes and private entry into Angel Stadium. Inside the suites will be HDTVs, indoor and outdoor seating, lounge space and Wi-Fi. In-suite catering is available to purchase in advance, and you will have a suite attendant on hand for any game day necessities. No matter what suite at Angel Stadium you want, it’s the perfect environment for business or pleasure. The Los Angeles Angels of Anaheim are looking to get back in the mix of things in the American League West. Led by one of the best players in baseball, Mike Trout, they hope Trout’s supporting cast can get them into the playoffs. The 2017 season will be the 18th season for Mike Scioscia at the helm. Trout picked up his second MVP award in 2016. Trout has nothing left to prove and he’s only 25 years old entering the 2017 season. C.J. Cron battled a few injuries last year but the team is expecting a 20 or more home run season from him. No stranger to home runs is Albert Pujols. 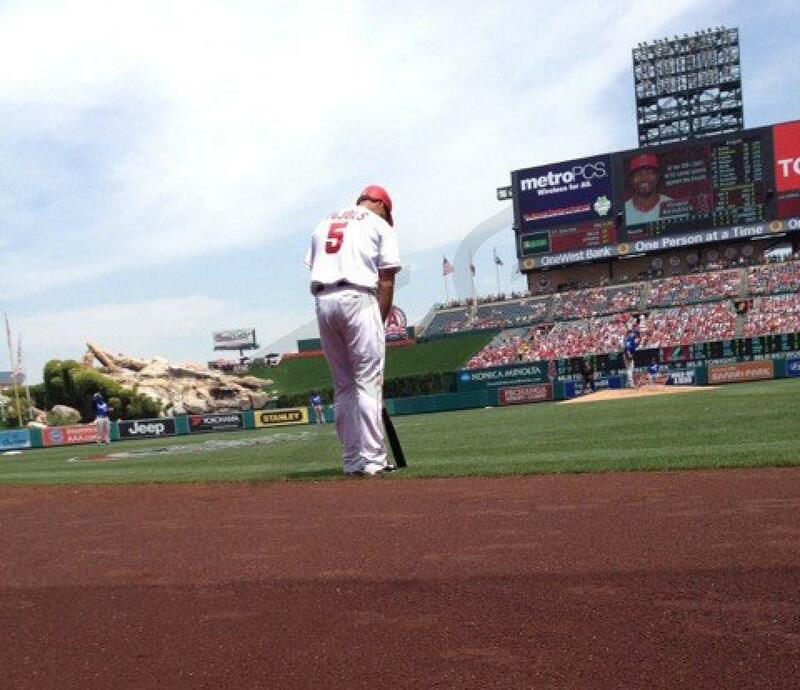 Pujols is still smashing balls out of Angel Stadium. The Angels added Danny Espinosa from the Washington Nationals. Espinosa is another defensive weapon and will be playing up the middle with Andrelton Simmons. Simmons is arguably the best defensive shortstop in baseball. Angel fans will also see Yunel Escobar, Cameron Maybin and Kole Calhoun as everyday players in the lineup. The Angels rotation will feature many familiar faces in 2017 but no longer with the team is former ace Jered Weaver. The new ace of the staff will be Garret Richards. Richards was hurt for most of 2016 but will look to rebound from Tommy John surgery in 2017. Matt Shoemaker, Tyler Skaggs and Ricky Nolasco will fill out the rotation. If any of them struggle out of the gate, the Angels have former prospect Alex Meyer and veteran Jesse Chavez waiting for an opportunity. Unfortunately, two of their bright stars from a year ago, will miss 2017 with injuries, Andrew Heaney and Nick Tropeano. The bullpen is led by veteran closer, Huston Street. 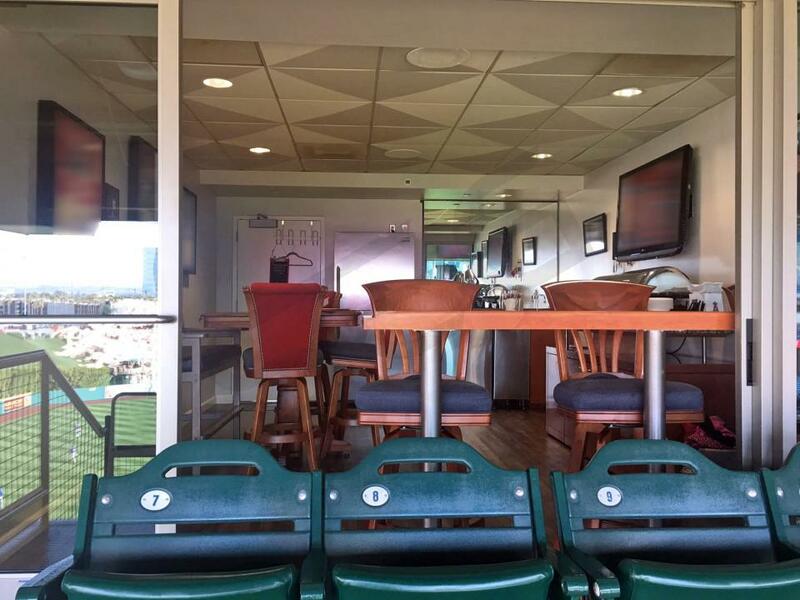 You can watch the Angels from many different suite options at Angel Stadium. They include the dugout suite, gold level, silver and bronze levels. Dugout suites at Angel Stadium are extremely popular as puts you at field level right near home plate. Angel luxury boxes will accommodate guests of 12 – 18. 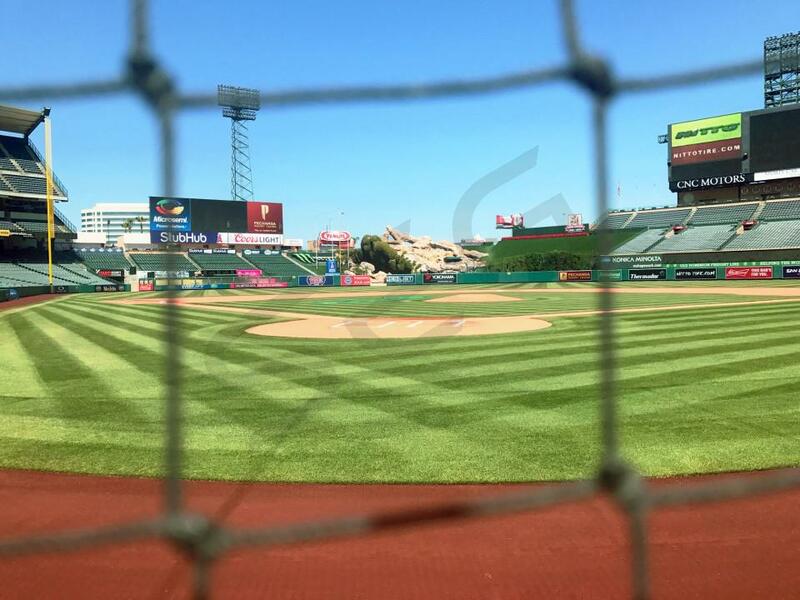 With your suite, you will receive VIP parking passes and private entry into Angel Stadium. Inside the suites will be HDTVs, indoor and outdoor seating, lounge space and Wi-Fi. In-suite catering is available to purchase in advance and you will have a suite attendant on hand for any game day necessities. No matter what suite at Angel Stadium you want, it’s the perfect environment for business or pleasure. Baseball: In 2016, the Los Angeles Angels feature one of the biggest stars in the majors in Mike Trout and yet they have not quite been able to break through to take advantage of his prime. During his Angels tenure Mike Trout has hit 150 bombs, scored 520 runs and driven in 441 runs in just five years. The Angels other star is undoubtedly Albert Pujols. The 36 year old has hit 572 home runs in his career and there is real potential that he might surpass 600 home runs this year which has only been done by 9 other players in the history of baseball. Youngsters C.J. Cron and Kole Calhoun continually flashes glimpses of big time talent infusing the team with youthful energy and looking to build on strong 2015 seasons. Jered Weaver leads a staff that has struggled so far this season, which has actually led to exciting high-scoring baseball. Huston Street and Joe Smith share the closer role for the team. 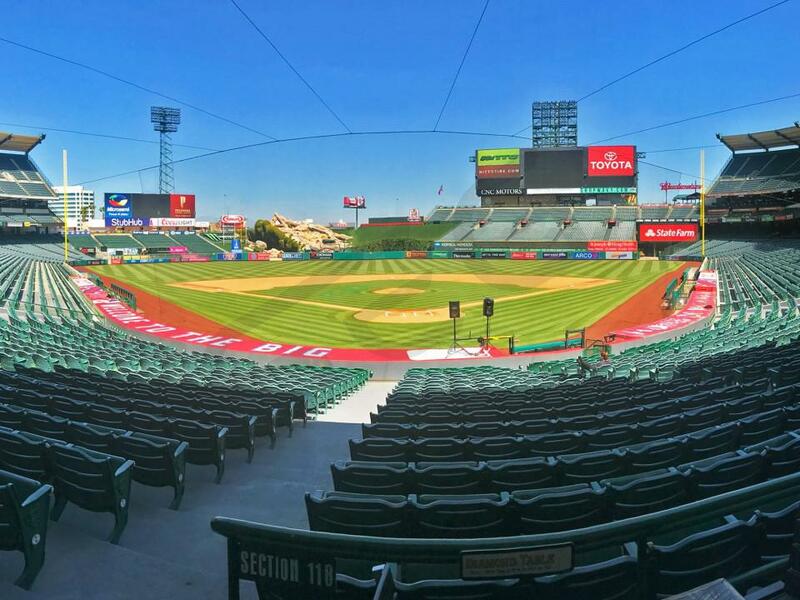 Get out to Angels stadium to enjoy fast-paced high scoring baseball in the beautiful Los Angeles sunshine. Schedule: In 2016, the Angels will be hosting big series against the Blue Jays, Texas Rangers, New York Yankees, Boston Red Sox, Chicago White Sox, Oakland Athletics, Seattle Mariners, Houston Astros, and Cincinatti Reds. 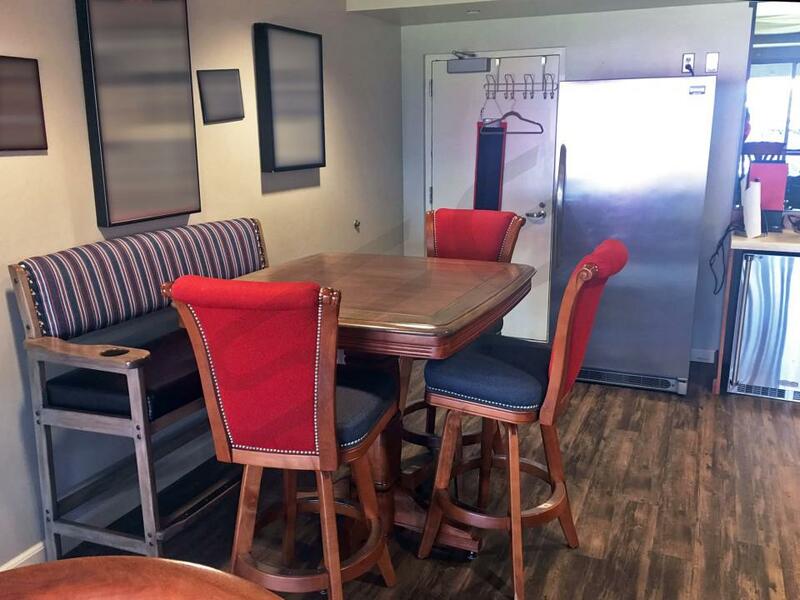 Suites and Special Events: Angel Stadium contains four premium levels of luxury suites that include: Platinum Level, Gold Level, Silver Lever, and Bronze level suites. Angels’ suites are the perfect place to host parties with your best clients, employees, family, or friends. Suites at Angel Stadium include: 18 tickets, 3 VIP parking passes, private access to venue and venue clubs, indoor/outdoor seating, suite attendant, catering options, and HDTV’s. The Los Angeles Angels of Anaheim hope to put 2013 behind them and gear up for a playoff run in 2014. Albert Pujols and Josh Hamilton will look to get back into All-Star form. Mike Trout has come close to winning two MVP awards in just his two seasons. 2014 could be Trout's year as he continues to establish himself as one of baseball's best talents. Angel Stadium contains four premium levels of luxury suites that include: Platinum Level, Gold Level, Silver Lever, and Bronze level suites. Luxury suites are the perfect place to host parties with your best clients, employees, family, or friends. Suites at Angel Stadium include: 18 tickets, 3 VIP parking passes, private access to venue and venue clubs, indoor/outdoor seating, suite attendant, catering options, and HDTV’s. Thank you for signing up for specials at Angel Stadium of Anaheim. Enter your email address below to stay in touch. We'll sign you up for our newsletter, which will inform you of the latest inventory and events at Angel Stadium of Anaheim. We promise we will never sell or distribute your information. 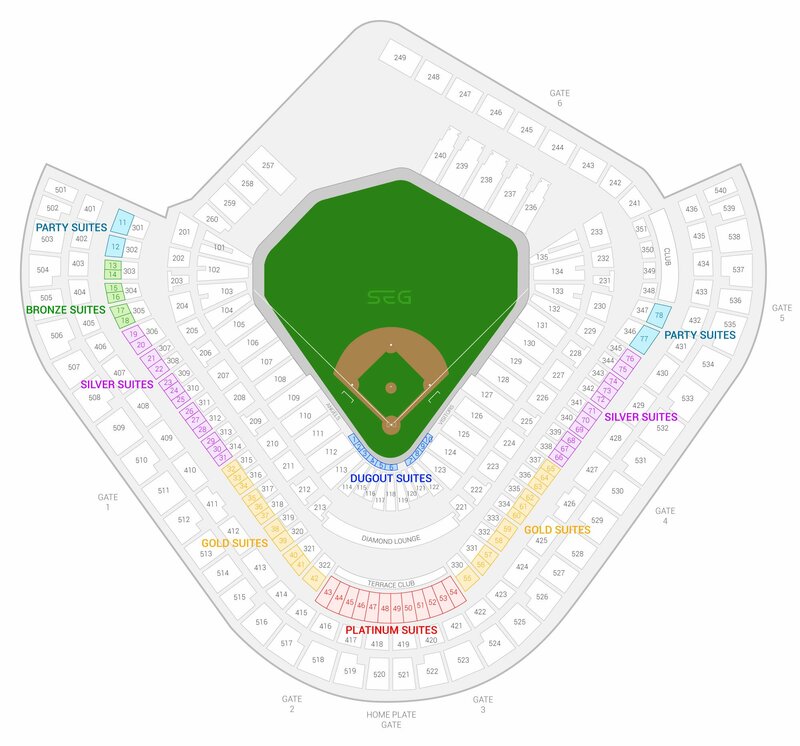 The seating chart below shows where the Los Angeles Angels suites at Angel Stadium of Anaheim are located.